The heat exchanger in the furnace is covered by a Lifetime Limited Warranty for the original, registered homeowner and if it fails during the first 10 years of ownership, we will replace the entire unit. This furnace also has a 10-Year Parts Limited Warranty on all other functional parts. For a full description of all warranties applicable to this product, please review the consumer brochure or product warranty. 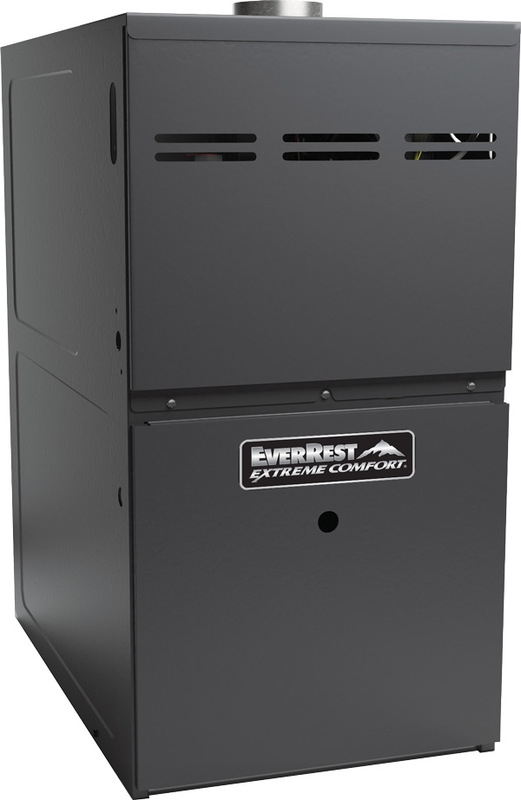 Unlike conventional, single-stage furnace technology, Energi Air technology helps eliminate the temperature swings resulting from abrupt, high-stage stops and starts of the furnace by operating at a low heating state the majority of the time. This gas furnace has an AFUE rating of 80%, which means that 80 cents of every $1.00 of heating energy expense warms your home..